Properly looking after a combination or oily complexion could be a full-time job. This skin type is almost impossible to balance since you have to deal with excessive sebum, dilated pores, blackheads, whiteheads, pimples or acne, all at the same time. Unfortunately, no matter how many lotions and potions you try, there isn’t a magic product that can help you get the flawless complexion you’re dreaming of. On the bright side, there are plenty of tricks that can enhance the appearance of your skin and help you look after it accordingly. So, if you want to know the most effective tips on how to keep your face pores healthy, here are some methods you should give a try. The easiest way to ensure a glowing complexion at any age is to start young and never forget about your daily routine. The first step is cleaning your face accordingly by using warm water and a good facial wash. If you have oily or combination skin, we suggest using natural products and ingredients with antibacterial properties such as aloe vera or salicylic acid. You should avoid using hot water as it can destroy the natural barrier of the skin and cause it to produce more sebum which will lead to clogged pores and the formation of pimples. Instead, use lukewarm water and a mild cleanser. Using a toner is the second step of your daily beauty routine. Again, people with oily and combination complexions should use astringent toners that will remove any makeup residues and minimize the appearance of pores. Thirdly, you need to apply a moisturizing cream according to your age and skin requirements. Use anti-wrinkle creams if you’re over 35 years old or deeply moisturizing creams if you have dry skin. You should avoid creams that are too oily or greasy if you already deal with dilated pores and excess sebum. Another important tip on how to keep your face pores clean is to use a light scrub on a regular basis. As opposed to regular face washers, scrubs contain small beads that will deeply clean the skin and unclog pores. However, no matter how mild the facial scrub may seem, it is not recommended to use it more than 2-3 times a week if you have combination to oily skin or once a week if you have a normal or dry complexion. Facial scrubs are abrasive and, used excessively, may destroy the skin’s natural barrier and determine it to produce more sebum which will clog your pores. Mother Nature has been generous with people who want to obtain a flawless complexion so there are plenty of natural ingredients you can use in the composition of facial masks and cleansers. Baking soda, lemon juice, aloe vera, green tea, clay, honey or even some vegetables like cucumbers can prove to be efficient when battling dilated pores, blackheads, and pimples. Most of these ingredients are known for their astringent and antibacterial properties that will help clean the pores, remove all dirt, and keep sebum under control. Another ingredient that you can use straight from the fridge is yogurt. Plain yogurt is rich in lactic acid that has antibacterial properties, which will fight against acne and minimize the look of pores. You can use it alone or in combination with honey which has similar astringent effects. All you have to do is apply a thin layer of yogurt on your face and wait for 5-10 minutes, then wash your face using lukewarm water. 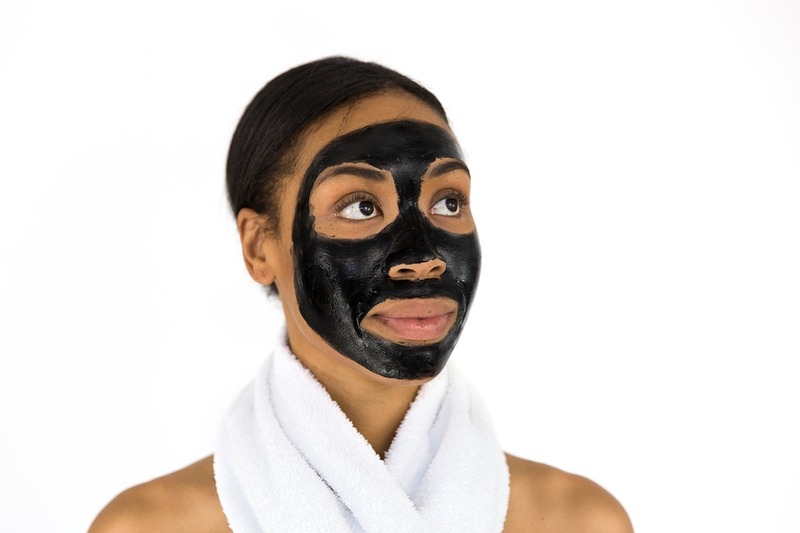 The mask should be used once a week as lactic acid might cause irritations. A healthy and balanced lifestyle combined with drinking enough water and practicing regular sports activities is the key to keeping your face looking fresh and flawless. Bear in mind that pores might look bigger if you don’t get enough rest or if you don’t properly hydrate during the day. Practicing any type of physical activity such as cardio, jogging, pilates or even yoga using a special mattress or a yoga swing can affect the way you look and feel. These sports will help you lose weight and sweat, so you can eliminate all the toxins from your body and keep your skin healthy.